Description A large white swan typically from 140 to 160 cm long. Compared with the other Northern white swans, the Mute Swan can easily be distinguished by its curved neck and orange, black-knobbed bill, which is larger in males. 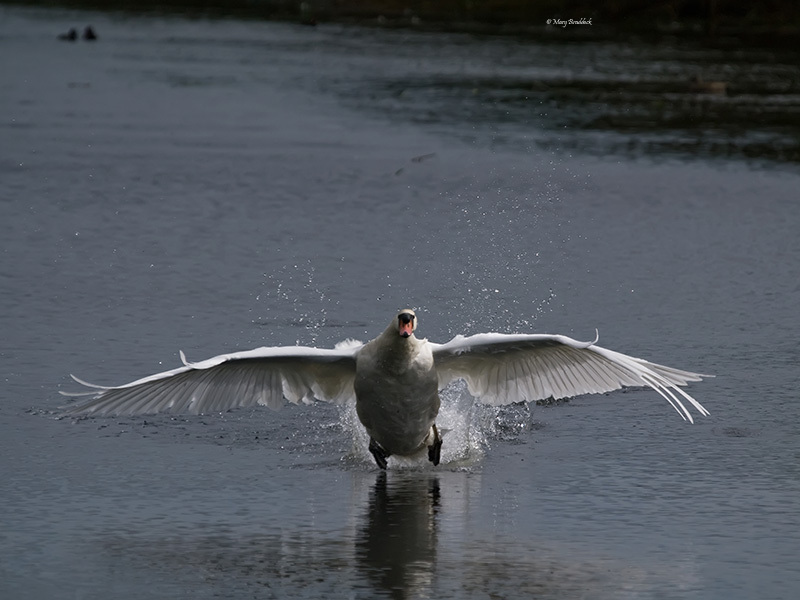 Unlike most other Northern swan species (who usually inhabit only pristine wetlands without regular human interference), the Mute Swan has, in some parts of the world, become habituated and fearless towards humans. Such swans are often seen at close range in urban areas with bodies of water.